Month 3 of Modern Quilts Unlimited magazine/Michael Miller fabric block challenge. Supernova Ohio Star is my rendition of the traditional Ohio Star block. 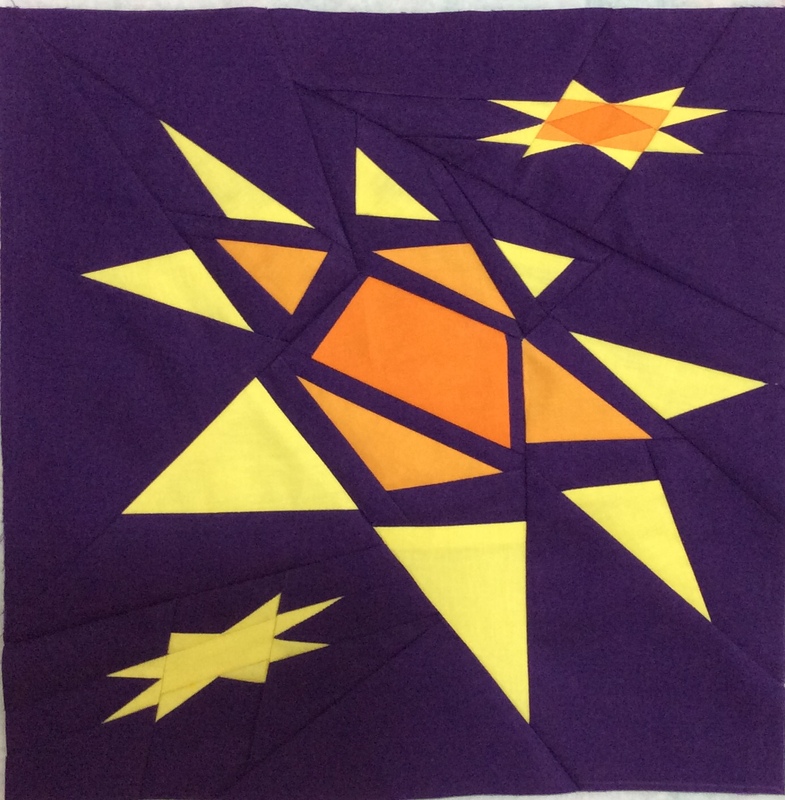 The block was designed in idraw and paper pieced using Michael Miller cotton couture fabrics: amethyst, orange, apricot, lemon. VOTE for my block by going to the following link: http://a.pgtb.me/MfCtTr/h5Cj1?w=36927840&e=104456844 . Scroll down the page and click on the VOTE BOX. Every vote counts! Voting starts 10/11 and goes through 10/14.